In this Part, we will explore the meaning of the 14th Shloka of Sri Vishnu Sahasranamam. Lord Vishnu pervades everything and reaches everyone. He is All Knowing and the One who continues to shine undiminished despite His acts of creation and maintenance.. His army is ever present looking out in all directions to protect everyone. 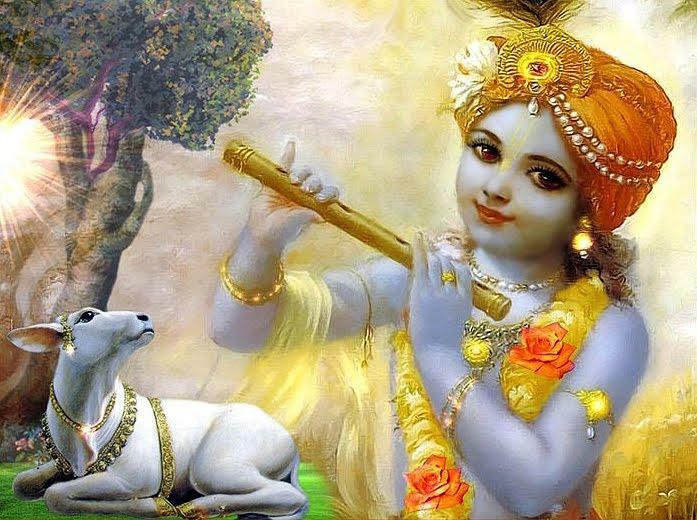 As Janardanah He destroys the wicked, bestows His grace on the devotees and protects them. 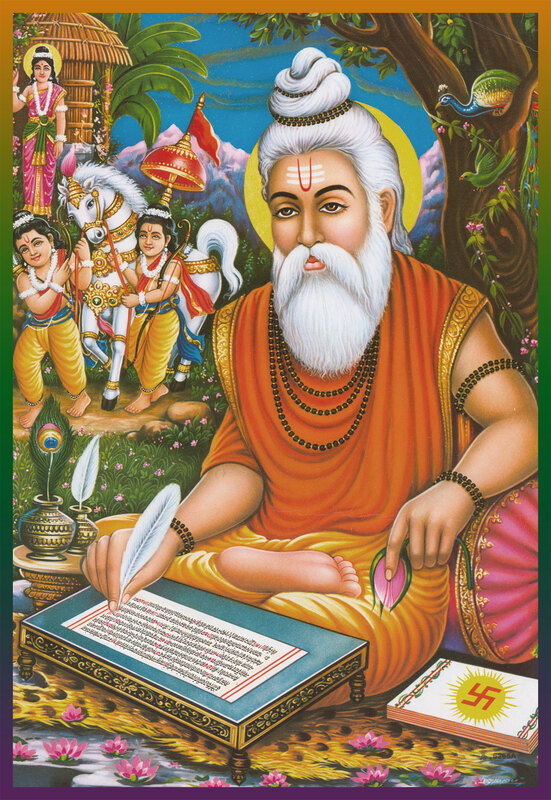 He is the embodiment of scriptures and the true knower of the inner meaning of the Vedas as He created them. He is perfection personified with Vedas as his body as He perceives everything. ‘Sarvagah’ means One who reaches all. ‘Sarvatra gacchati iti sarva-gah’ meaning One who pervades everything or One who goes everywhere. Bhagavan reaches out to everybody, pervades all places and is present everywhere. In his Samkarshana Vyuha he draws everything into HIMSELF. ‘Sarvavit’ means One who is the All Knowing. ‘Sarvam vetti vindata iti vA sarva-vit’ – The One who knows everything or the One who obtains everything. In the first interpretation, Bhagavan is omniscient or the knower of all. He is the inner soul. Another interpretation of Sarvavit is that He performs the function as ‘Pradyumna’ and recovers or obtains all the Jivas that have been absorbed into Him in the form of ‘Samkarshana’. ‘Bhanuh’ means One who shines. ‘BhAti iti bhAnuh’ – In spite of His act of creation and maintenance, He remains unchanged and continues to shine undiminished. In the Bhagavad Gita (Chapter 15, Verse 12) Bhagavan says ‘Yadaaditya gatam tejah jagad bhasayate akhilam Yat chandramasi yat cha agnau tattejo viddhi maamakam’ The brightness of the sun, the moon and the fire which illuminate the whole earth are all due to my presence in them. ‘Vishvak-Senah’ means The One who has His army present in all directions for the protection of everyone. In the Vaishnava tradition Vishvaksena is the name of the supreme commander of MahaVishnu’s army. This nama refers to the aniruddha vyuha, who is the protector endowed with his two gunas of Tejas and Shakti. This is a tribute to Vishvaksena as He is called upon to remove obstacles from one’s path. This nama indicates His Shakti or His capacity. Aniruddha means One who is not under anyone else’s control. This nama also indicates the guna of the Lord by which He is always there to protect His devotees. He comes to the rescue of his devotees call – for example Draupadi, Prahlada, Gajendra, Ambreesh etc..
Sri Adi Sankara describes that Bhagavan is called Vishvaksena because He makes the opposing Asura army run helter-skelter and everywhere in battle. One who protects his devotees from the wicked. First interpretation – One who destroys those who are wicked. ‘Janaan Durjanaan ardayati hinasti narakaadeen gamayati iti vaa Janardanah – one who destroys the evil people or banishes them to hell.’ He does not need any help to vanquish the demons. Another interpretation is from the root word ‘Ard’ which also means to beg, to ask – gatau yAcane ca janaih ardyate yAcyate – One who is approached by His devotees for whatever they wish to get. ‘Vedah’ means One who is the embodiment of scriptures. Sri Adi Sankara explains this in two ways. The first is ‘Vedaroopatvaat Vedah – He is the embodiment of the Vedas.’ Since Vedas originated from His breath, they are not different from Him. Meaning:To show them special mercy, dwelling in their hearts, I destroy the darkness of ignorance with the shining lamp of knowledge. Veda is derived from ‘Vid’ which means ‘to know’. Vedayati iti vedah means He is the One who explains everything or That which explains everything which is the Ultimate Truth i.e. Vedah. In the MahAbhArata, we have “Sarve vedAh sarvavidyAh sashaastraah sarve yajnah sarva ijyaashca Krishnah” – All the Vedas, all the Vidyas, all the Shastras, all the Yajnas, and all offerings, are Krishna.” In Sri Parasara Bhattar’s vyakhyana, this nama again refers to the Vyuha form of Samkarshana who has ‘knowledge’ as one of His attributes. ‘Vedavit’ means the true knower of the inner meaning of the Vedas. He is Vedavit as He knows the true meaning of the Vedas, viz. Dharma. Sri Bhattar interprets this nama as representing the Pradyumna and Samkarshana Vyuhas. As Pradyumna He propounds the Sastras and explains their significance and as Samkarshana has ‘knowledge’ as one of His attributes. He is vedavit as He is the knower without any doubts or errors in interpretation. This nama appears once more in this slokam itself (Nama 133). ‘Avyangah’ means One who has no imperfections. The word Vyanga means a blemish, an imperfection or shortcoming. Bhagavan is Avyangah because He has no defects. On the contrary, He is sheer perfection and flawless. As Adi Sankara puts it ‘Jnaadibhih paripoornah avikalah iti uchyate – He is the Perfect one in terms of knowledge and other accomplishments hence he is called the Avyangah the unblemished’. He is not deficient, in any way, in the knowledge of the chandas, kalpa, vyakarnas and other accessories of the Vedas which He created Himself. One could also interpret this nAma to mean He is not deficient in any of the six Gunas – Gnana, Bala, Aishvarya, Veerya, Sakti and Tejas. Sankara also gives another explanation which is ‘Vyango vyaktir na vidyate iti Avyangah – He is the unmanifested One’. In the Bhagavad Gita (Chapter 2 Verse 25) says ‘Avyaktoyam Achintyoyam Avikaaryoyam Uchyate – He is said to be unmanifested, beyond analysis and unchanging’. One who has Vedas as His body. One who has the Srutis and Smritis as His body. He performs the role of the teacher of Vedas in the form of Veda Vyaasa , Dattatreya, Dakshinamoorti and other scholars and Gurus. An example of this is from the Ramayana when Bhagavan explains the concept of Saranagati in his Rama Avatar. 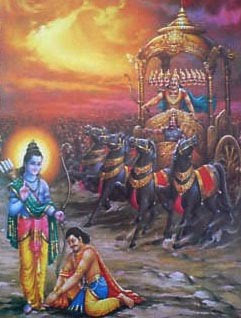 When Sugreeva and others objected and dissuaded Rama from accepting Vibheeshana’s offer to surrender, He explained them the meaning and concept of Saranagati. ‘Kavih’ means One who perceives everything. The popular meaning is ‘a poet’ as in MahaKavi Kalidasa and AadiKavi Valmiki. It has a wider meaning and denotes a seer or a person of wisdom. 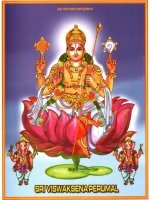 Sri Adi Sankara interprets this as ‘Kraantadarshee Kavih SarvaDrik – A person of great vision who perceives everything’. His perception goes beyond the ordinary senses. BhagavAn is the best among the kavis. Brihadaaranyaka Upanishad says ‘Naanyah Atosti Drishtaa – Nobody can see like him’. Isavaasya Upanishad says ‘Kavir Maneeshee – He is a seer and a storehouse of wisdom’. He is the one from whom nothing is hidden! 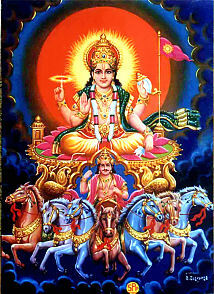 Lord Vishnu pervades everything and reaches everyone, hence He is Sarvagah. He is All Knowing, so He is called Sarvavit. He continues to shine undiminished and hence Bhanuh. He is present as Vishvaksenah with his army ever present looking out in all directions to protect everyone. 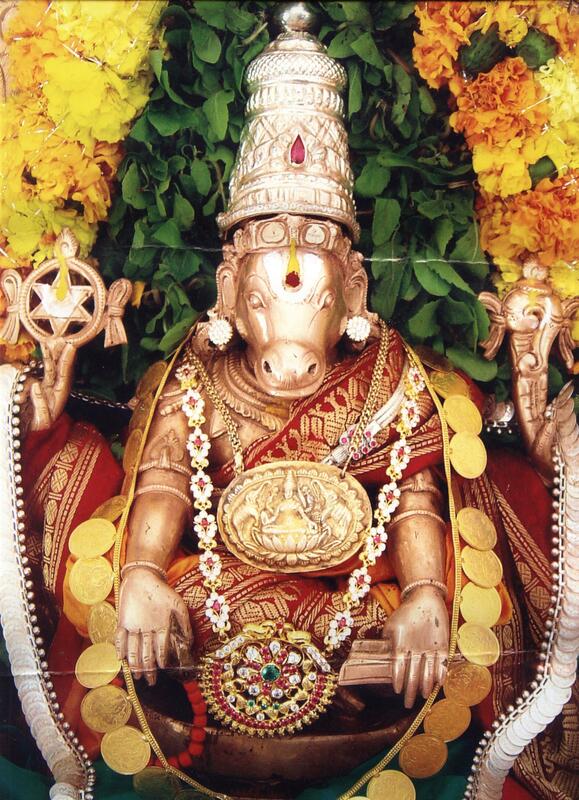 He is Janardanah who destroys the wicked, bestows his good wishes on the devotees and protects them. He is the embodiment of scriptures and hence Vedah. 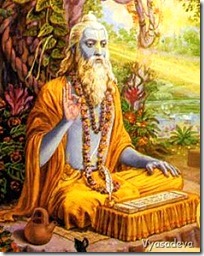 He is the true knower of the inner meaning of the Vedas as He created them, hence He is Vedavit. Bhagavan is Avyangah because He has no defects. On the contrary, He is sheer perfection and flawless. 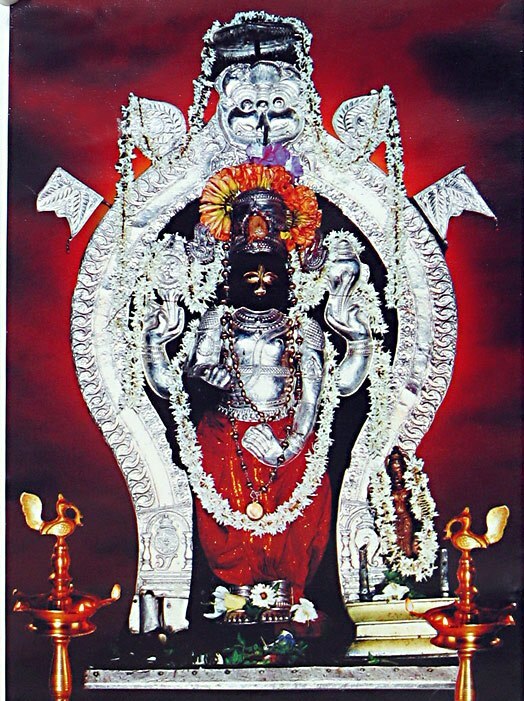 As he represents the Vedas as his body, He is Vedangah. He performs the role of the teacher of Vedas in the form of Veda Vyaasa , Dattatreya, Dakshinamoorti etc. and hence He is Vedavit. He is perfection personified with Vedas as his body and He perceives everything, hence He is Kavih. Hi sridharur blog is exelent and the stories are informative. As for ur nareation as usval very pleasant to hear..keep it up dear friend and god bless..
excellent narration as always..interesting that vedavit appears twice in the same shloka..
Amazing my dear son. But frankly my honest opinion, the stories that you were reciting through your blog were very intriguing & also breaks the monotony. Of-course this is good too. God bless you both! Hari Om! Amen! Thank you:) I am a bit torn between keeping it interesting and to a manageable length Vs. presenting an elaborate recording that might become an information overload! I shall attempt to weave in a story in every blog henceforth as you are not the only one who is giving this feedback to me 🙂 The stories definitely makes it more engaging.